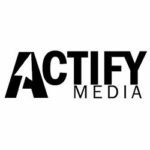 Actify Media is a web design and internet marketing company, located in Helena, MT, providing quality, profitable websites that increase visitors and revenue for your business. If you want a website that not only looks good but drives sales and revenue, you need a web designer that is also an expert in marketing, digital strategy, and customer conversion. Mission Statement: Internet marketing and web design that works.